This post includes information on recent updates in regards to the legalization of marijuana in Canada. I recently wrote about the proposal to legalize marijuana in Canada along with the potential implications for employers here and here. Some noteworthy developments have recently occurred. First, Bill C-45, An Act respecting cannabis and to amend the Controlled Drugs and Substances Act, the Criminal Code and other Acts, which was introduced in the House of Commons on April 13, 2017, has received some treatment since my last post. After receiving third reading on November 22, 2017, Bill C-45 received first reading in the Senate on November 28, 2017 and proceeded to second reading debates on November 30, 2017. Subsequently, the debate was adjourned due to expiration of the debating period. On December 14, 2017, the Senate adopted motion whereby the Senate would resolve itself into a Committee of the Whole to consider the subject matter of Bill C-45 on February 6, 2018. Further, on February 15, 2018, the Senate adopted another motion regarding Bill C-45, in order for the following Standing Senate Committees to be authorized to study the subject matter of Bill C-45: the Standing Senate Committee on Legal and Constitutional Affairs; the Standing Senate Committee on Aboriginal Peoples; the Standing Senate Committee on Foreign Affairs and International Trade; the Standing Senate Committee on National Security and Defence insofar as the provisions related to their areas of expertise. Accordingly, each of the above Standing Committees must submit its report to the Senate no later than May 1, 2018. If Bill C-45 is read for a second time, it must be referred to the Standing Senate Committee on Social Affairs, Science and Technology, for further study. At this point, it is important to remember that most provisions of Bill C-45 come into force on a day or days to be fixed by order of the Governor in Council, and the target date for the legalization of cannabis across Canada continues to be July 2018. Moreover, On November 21, 2017, Health Canada launched a 60-day public consultation to solicit public input and views on a proposed approach to these regulations. To support the consultation, Health Canada published a consultation paper, “Proposed Approach to the Regulation of Cannabis”. The consultation paper made some regulatory proposals to help achieve the government’s public health and safety goals of restricting youth access to cannabis, minimizing the harms of cannabis use, and preventing criminals and organized crime from profiting from the illegal production of cannabis. The major topics involved: Licences, Permits and authorizations; Security clearances; Cannabis tracking system; Cannabis products; Packaging and labelling; Cannabis for medical Purposes; Health products and cosmetics with cannabis; and Miscellaneous issues. This paper is in addition to the Task Force on Cannabis Legalization and Regulation dated November 30, 2016, which discussed topics including: Minimizing harms of use; Establishing a safe and responsible supply chain; Enforcing public safety and protection; Medical access; and Implementation. Second, in response to federal initiatives, several provinces and territories have started to enact legislation in anticipation of the legalization of marijuana, including: Manitoba (Bill 11 and Bill 25); Alberta (Bill 26 and Bill 29, and also Order in Council 27/2018); Quebec (Bill 157); New Brunswick (Bill 16); Ontario (Bill 174 and Part 4.1 of the Excise Act, 2001); Nunavut (Bill 3); Prince Edward Island (currently in the policy stage); Northwest Territories (Bill 6); the Yukon (Bill 15, in draft format awaiting results from consultations); and British Columbia (currently in the policy stage). Although it is not practical to review every single piece of legislation in the above list, it is helpful to note that, in general, these provisions involve regulating the cultivation, sale, distribution and consumption of cannabis in the province or territory; adding new requirements and prohibitions in existing legislation that prohibits smoking such as age restrictions and areas where smoking is permitted; creating strict penalties for those who drive while impaired by cannabis; modifying human rights obligations in order to ensure equal treatment with respect to goods on the basis of age; amending the educational requirements in order to include the requirement to discourage the use of alcohol, illegal drugs and, except by a medical cannabis user, cannabis as one of the purposes of a code of conduct established by the Minister; and setting out the powers and duties of the province or territory so it has the exclusive right to sell cannabis in that province or territory. Additionally, there have been some cases that have gone before courts and arbitrators regarding the use of marijuana in the workplace that can provide some foreshadowing as to how things will proceed following the legalization of marijuana. Key elements that are considered in these decisions have to do with compliance with the company drug and alcohol policy, and a weighing of mitigating and aggravating factors that pertain to the particular facts of the case. For example, in Terra Nova Employers’ Organization v Communications, Energy and Paperworkers Union, Local 2121, 2018 NLCA 7, the Newfoundland and Labrador Court of Appeal upheld the termination of the unionized worker who was caught with a small amount of marijuana in his jeans pocket during a screening prior to boarding a helicopter that would be transporting him and other employees to an offshore platform. The court confirmed the arbitrator’s decision and emphasized that there was a clear company policy prohibiting illegal drugs and informing employees that disciplinary action would apply if they were found to be in possession of these illegal drugs contrary to the policy following an investigation. In this case, it was clear that the worker, a millwright, was not in compliance with the employer’s drug and alcohol policy. Additionally, he could not show that he had taken all reasonable care to ensure that he did not breach the policy. The arbitrator concluded that the worker likely knew he had the drugs in his pocket but forgot to check his pockets before entering the screening area. Consequently, the court confirmed the arbitrator’s decision to dismiss the grievance and upheld the termination. Similarly, in University of Windsor v Canadian Union of Public Employees, Local 1001, 2017 CanLII 9594 (ON LA) (Gedalof), after two employees, custodians, were caught by campus police smoking marijuana in a parked car after beginning their shift, they were terminated from their employment. At the grievance, the employer argued that the main concern was that there was a loss of trust due to the misconduct and also because the employees were not honest about their misconduct during the investigation. Their work was unsupervised and trust was critical in the employment relationship. In response, the union sought reinstatement with a lesser penalty. The arbitrator pointed out that the absence of candour by a grievor when confronted with respect to drug use was a significant aggravating factor since it undermined the trust relationship between the employer and employee, and gave rise to a concern with respect to the employee’s rehabilitative capacity. In fact, the undermining of this trust became more significant where the position is either highly safety-sensitive or unsupervised. In this case, although there was no evidence of addiction which could have minimized the impact for the employees, there were some mitigating factors such as the long duration of service of 17 years, the lack of a history of discipline, and the record of good performance. Though the position was not safety-sensitive, there were significant aggravating factors that weighed against these mitigating factors. For instance, the janitorial position was unsupervised, and this required a significant degree of trust in the relationship. Also, it was clear that, from the beginning of the incident until the conclusion of the hearing, the grievors attempted to mislead the employer regarding the degree of their culpability – the arbitrator noted that they were “anything but candid”, and it was troubling how willing they were to lie about the circumstances leading up their termination to the point of absurdity. There was simply a refusal to take responsibility for the incident until the employees had no other option. This indicated a lack of genuine contrition, and this fundamentally undermined the trust relationship necessary for the maintenance of the employment relationship. As a result, the employer had just cause to terminate the employees and the grievances were dismissed. As mentioned previously, the concern here is about impairment – in the event that marijuana becomes legal, this does not mean that employees would suddenly be allowed to use marijuana before arriving or at the workplace and recklessly do their work, endangering co-workers or performing poorly. Just as employers may prohibit the use of a legal substance such as alcohol in the workplace, employers would be entitled to restrict the use and possession of cannabis in the workplace in order to ensure a safe and productive workplace that is free of impairment. As can be seen from the provisions of the upcoming legislation and the cases mentioned above, employers may prohibit the use of recreational marijuana at work or during working hours and may also prohibit employees from attending work while impaired. 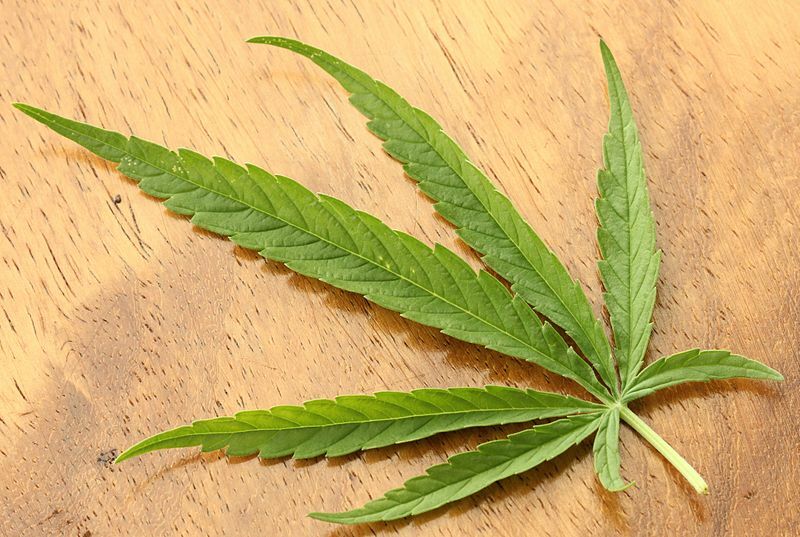 Workplace rules regarding non-medical use of marijuana may be enforced through the application of the employer’s substance abuse and progressive discipline policies. However, it is important to be aware that it would still be necessary for employers to respect the accommodation requirements under human rights legislation for those employees who suffer from particular medical conditions and engage in medical use of marijuana. Employers are recommended to continue their use of policies and procedures for medical use of marijuana in the workplace in order to comply with human rights requirements. Similarly, employers are recommended to remain informed and appreciate that there may be certain situations where employees suffer from marijuana addictions, consequently triggering human rights obligations. Employers are recommended to ensure that their policies and procedures sufficiently address addictions so they can remain in compliance with applicable human rights provisions. With the above qualification in mind, employers would still be entitled to discipline employees where the recreational non-medical use of marijuana has an adverse impact on their job performance or endangers their co-workers or customers. Employers are recommended to create policies and procedures for that address marijuana use in the workplace and also to ensure that they set out their expectations regarding workers who drive company vehicles so they remain in compliance with relevant impaired driving provisions. Employers are recommended to train employees regarding their policies and consistently enforce them. Where employers are unsure of how to approach this issue, they are recommended to seek legal advice. Furthermore, employers can take advantage of the online course presented by the Canadian Center for Occupational Health and Safety in order to address concerns related to workplace impairment from marijuana use. The course provides managers and supervisors, health and safety committee members, human resources specialists, and health and safety advisors with an understanding of impairment, its impacts and causes, and the importance of having a workplace policy and corresponding procedures in place. Details can be found here. What happens to employment contracts when an employer sells the assets of its business? Employer alert: Payroll costs in Ontario went up (again) on April 1, 2018.